Chihuahuas, because of their size, are considered a great choice for first-time pet owners. However, several chihuahua issues can make the saying “Small but terrible” quite true. Although at first the issues may seem insignificant, but without proper training and care, they can get out of hand, making like difficult for both pet and master. While Chihuahuas are active despite their small size, it’s obvious that most Chihuahua issues revolve around its being tiny. Because of its size, it is a very fragile dog and is prone to many health problems. They have weak bones and can easily get injured if just left to frolic around on its own. Chihuahuas can get very spoiled if you let them, and like little children, they can be very picky eaters. Chihuahua issues regarding food usually revolve around them being moody about it – one time they might like a certain food, but at the next meal totally ignore it. A Chihuahua’s diet is also very strict and it’s not recommended to feed your chihuahua human food. 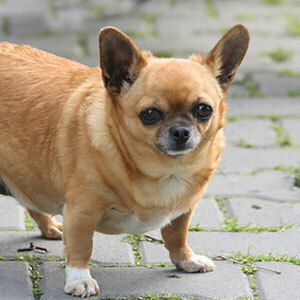 This might come as a surprise to most people, but Chihuahuas can become obese quite easily, despite their high metabolism rate. Speaking of the Chihuahua’s spoiled nature, it can also act like a little kid, in a way that it does what it wants and ignores it’s master’s orders. However, among chihuahua issues, this is not a big deal because although they’re quite snobbish if you leave them be, they are also easily trainable. It is recommended that you start training your Chihuahua as a pup so you won’t have to go through its difficult behavioral stages as it grows up. Being a toy dog, Chihuahuas suffer the same health problems as most of the dogs in this category do. Among the many Chihuahua issues that involve health – aside from those discussed above, hypoglycemia and heart murmurs are common in these little dogs. Some pups do outgrow hypoglycemia, and heart murmurs are not really a threat as long as the dog gets enough exercise. In fact, heart murmurs were thought to be a rare condition with Chihuahuas until vets realized there were a lot of Chis with this condition, however it did not warrant any attention because it did not debilitate its lifestyle in any way. One of the more annoying Chihuahua issues out there is with regards to hair loss. All chihuahua pups lose their hair when they’re around 5-6 months old. This is a natural occurrence and doesn’t mean your pet is terribly ill. These chihuahua issues can be annoying because of all the hair lying around the house. Also, the chihuahua can look a bit unsightly with only patches of hair on its body. Unfortunately, the hair doesn’t grow back quickly and can take a month or two before the Chi gets a new coat. This means your pet is vulnerable during this time, as its skin will be sensitive and it may experience pain if not handled properly. During this time, the pup is also vulnerable to scratches and wounds on the skin, which may increase its chances of getting a skin infection.